Dr. Emily Moore stands in awe of the Smithsonian NMAAHC’s South Carolina Rice Fields exhibit with her husband, Dr. Herman Blake, before visiting the Emmett Till Memorial exhibit. The two are framed by two iconic South Carolina Lowcountry landmarks: historic Angel Oak on John’s Island and a salt marsh at Mosquito Beach, a popular social destination for African Americans during the Jim Crow Era. Photo credit: Dr. Rolando Herts, Mississippi Delta National Heritage Area. During the Alliance of National Heritage Areas (ANHA) Annual Meeting in February 2017, I had the honor of working with Brandi Roberts, Executive Director of Great Basin National Heritage Area (Nevada) Sara Capen, Executive Director of Niagara Falls National Heritage Area (New York) to organize a special ANHA tour of the new Smithsonian National Museum of African American History and Culture (NMAAHC) in Washington, D.C. The tour was arranged in collaboration with Smithsonian Ambassador Mossi Tull and the museum's education division. National Heritage Areas are cultural heritage partnerships with the National Park Service. The Smithsonian NMAAHC features exhibits that relate to many National Heritage Area stories, including the Mississippi Delta National Heritage Area and the Gullah Geechee Cultural Heritage Corridor, which spans Lowcountry coastal communities shared by four states: North Carolina, South Carolina, Georgia, and Florida. 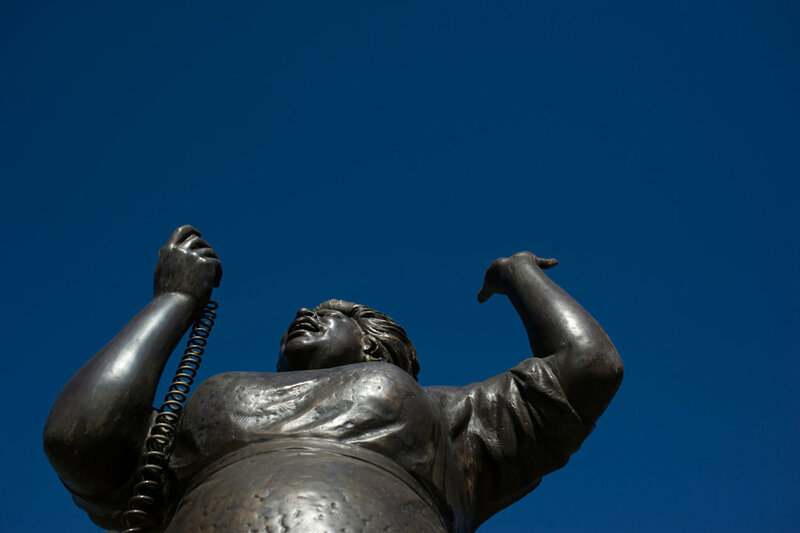 The following is a powerful reflective essay written by Dr. Emily Moore who experienced the tour with her husband, Dr. Herman Blake, Executive Director of the Gullah Geechee Cultural Heritage Corridor. Dr. Moore’s personal account poignantly illustrates the enduring historical and cultural significance of a 1955 Mississippi Delta story that still resonates with 21st century America: the lynching of African American teenager Emmett Till, an international tragedy widely cited as the “spark that lit the fuse” of the modern Civil Rights Movement. To read the full article and see more photos, please visit the Mississippi Delta National Heritage Area blog. 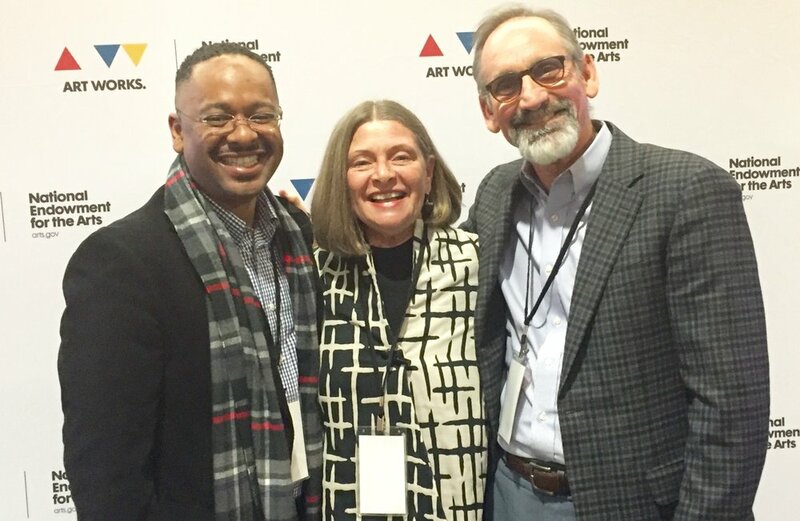 Dr. Rolando Herts with Susie Surkamer, Executive Director of South Arts, and Malcolm White, Executive Director of the Mississippi Arts Commission, at "The Future of Arts and Creativity" convening in Washington, DC. By special invitation, Dr. Rolando Herts, director of The Delta Center for Culture and Learning at Delta State, recently attended “In Pursuit of the Creative Life: The Future of Arts and Creativity in America.” The event was hosted by the National Endowment for the Arts and The John F. Kennedy Center for the Performing Arts in Washington, DC. Over 200 artists, industry leaders, educators, scientists, and civic leaders from across the country attended the day-long convening at The Kennedy Center. Participants developed ideas and strategies to enhance America’s creative infrastructure for the future toward making the arts and creative opportunities more accessible to all Americans. The convening featured keynote speaker Questlove, GRAMMY Award-winning founding member of The Roots and musical director for “The Tonight Show Starring Jimmy Fallon,” in a moderated discussion with National Public Radio media critic, Eric Deggans. Facilitated working group discussions were framed by expert panel sessions on how to help creative people and communities thrive now and in the future. Support for the event was provided by the Ford Foundation, Heinz Endowments, The Henry Luce Foundation, McKnight Foundation, The Andrew W. Mellon Foundation, Emily Hall Tremaine Foundation, and Walton Family Foundation. Travel supplements for invited entities like The Delta Center were provided by South Arts. South Arts is a nine-state regional arts organization based in Atlanta that provides grants, programs and services to artists and arts organizations in the southern United States. 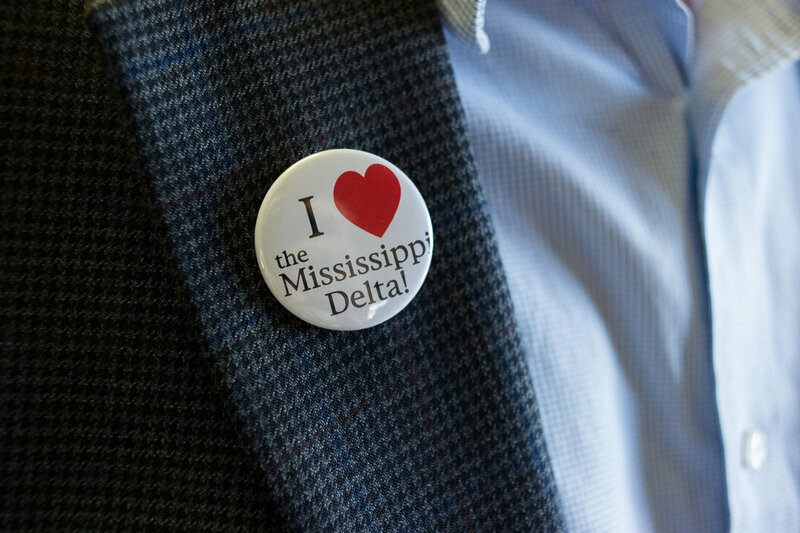 At the invitation of the Mississippi Humanities Council, The Delta Center at Delta State University hosted National Endowment for the Humanities Chairman William “Bro” Adams during his recent visit to the Mississippi Delta region. The Delta Center is the home of “The Most Southern Place on Earth” workshops for K-12 educators from throughout the U.S. The “Most Southern” workshops are funded by the NEH. 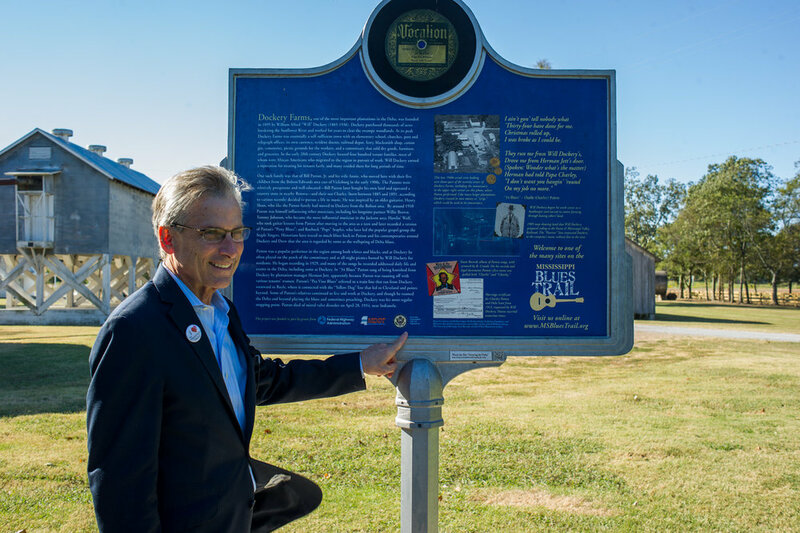 This was Chairman Adams’ first time ever visiting the Mississippi Delta and the state of Mississippi. "It's really very powerful being here," said Chairman Adams. 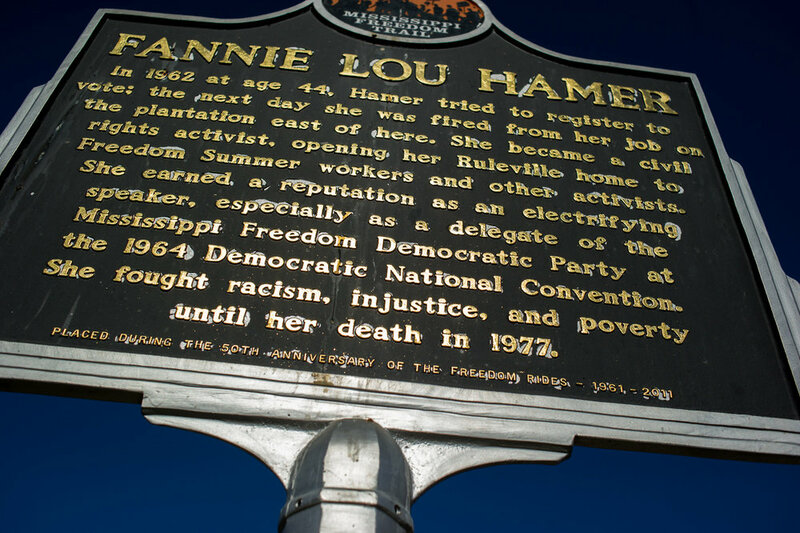 "Seeing all of the young people in Ruleville celebrating the birthday of Fannie Lou Hamer, that was extremely impactful and shows how much this kind of work matters." Chairman Adams started his morning at The Delta Center speaking with Dr. Herts and Lee Aylward about the “Most Southern” workshops of The Delta Center and how they have created an alumni network of over 500 K-12 educators across the country. 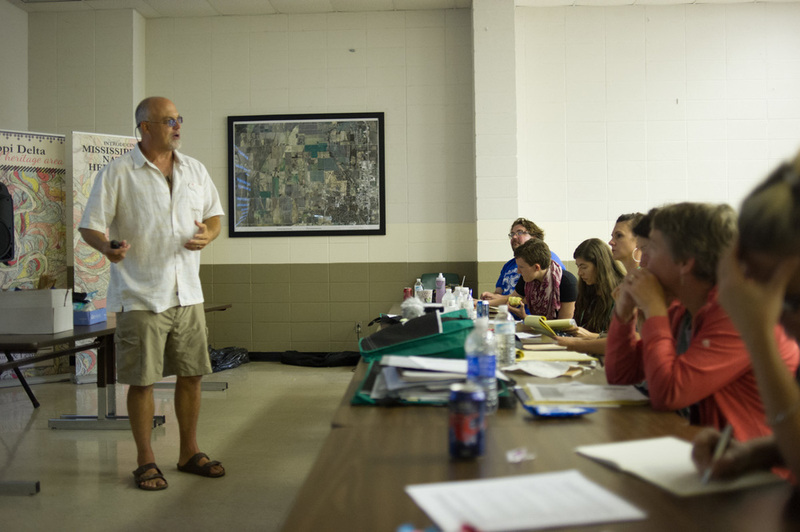 These Mississippi Delta ambassadors educate their students, colleagues, family members, and friends about the culture and history of the Mississippi Delta. They also have returned to the region as education and cultural heritage tourists. 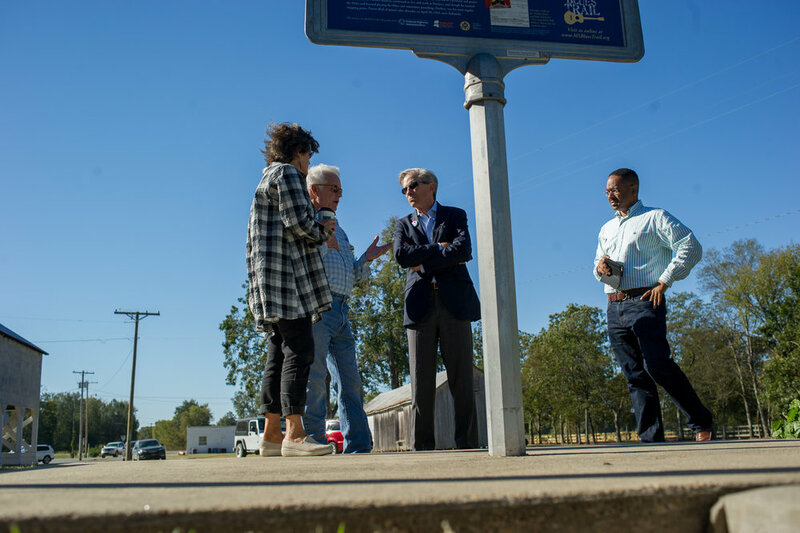 Chairman Adams also learned about The Delta Center’s other partnership programs, including the Mississippi Delta National Heritage Area and the International Delta Blues Project. After visiting The Delta Center, Chairman Adams was taken to various educational landmarks and cultural attractions that are featured in the NEH workshops. 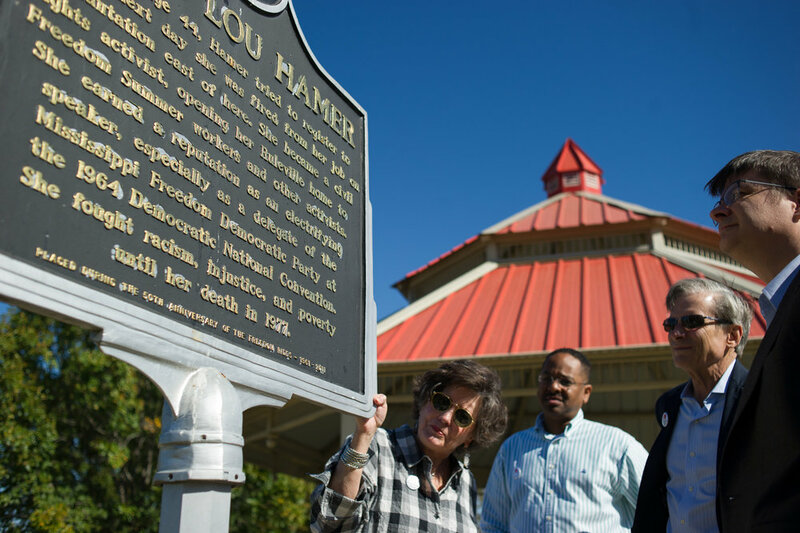 Stops included Dockery Farms, widely considered to be the birthplace of the Blues; the Taborian Hospital and IT Montgomery Home in the historic black town of Mound Bayou; and Fannie Lou Hamer Memorial Park in Ruleville, where community members celebrated the 99th birthday of the legendary voting rights activist. The morning wrapped up with an authentic Delta soul food experience at The Senator’s Place in Cleveland. 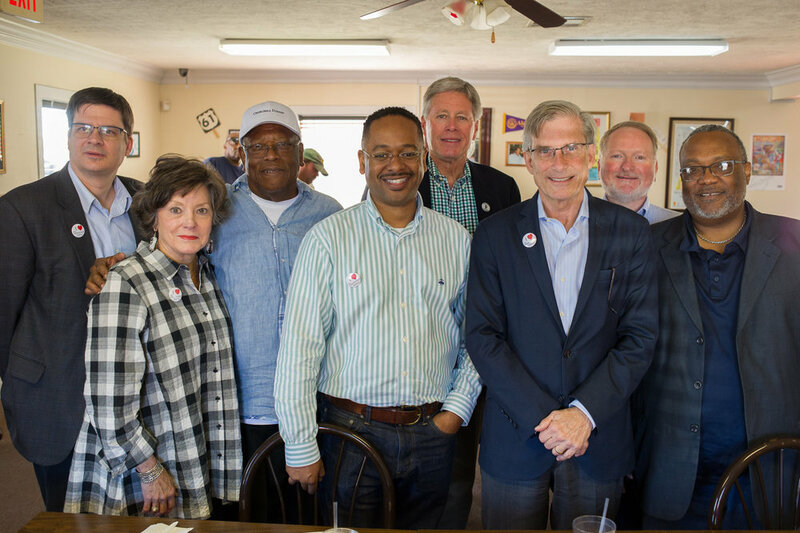 The traveling group was joined by President Bill LaForge and Provost Charles McAdams of Delta State, as well as Mayor Darryl Johnson of Mound Bayou and Senator Willie Simmons, owner of The Senator’s Place. "Having the Chairman for the National Endowment for the Humanities visit this morning is a wonderful experience for the Delta and for Delta State, particularly considering all of the wonderful cultural activities that are occurring in the region, " said Delta State President Bill LaForge. 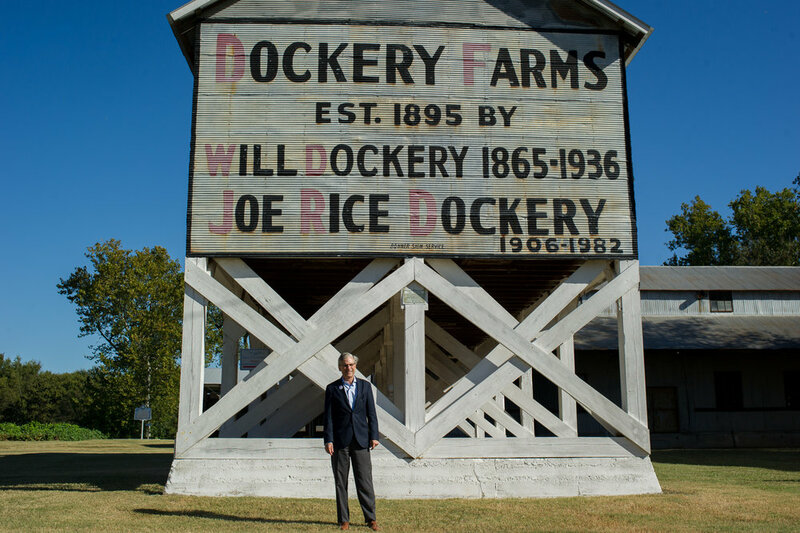 "We appreciate his coming to take a first hand look at all the work taking place in the Mississippi Delta." 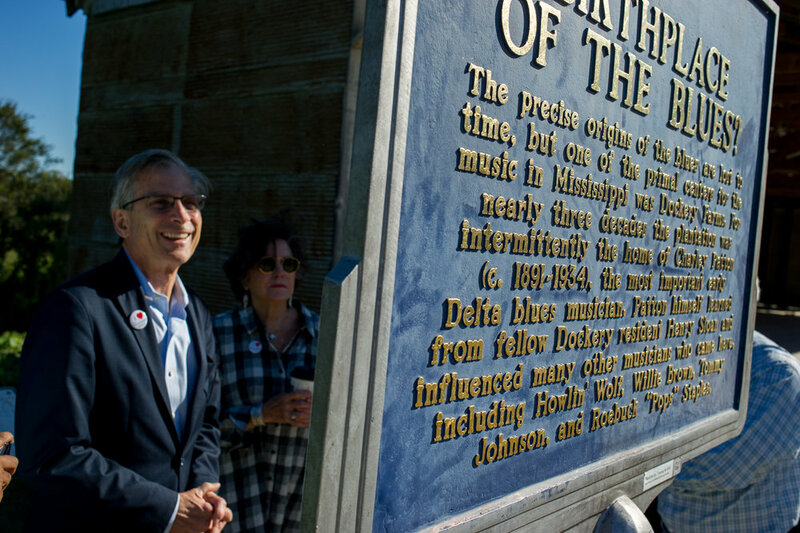 The Chairman spent the afternoon and evening visiting other nationally significant Mississippi Delta landmarks, including Emmitt Till civil rights sites in Tallahatchie County and Blues establishments in Clarksdale. Sixteen scholars from research institutions from across the nation – including Cornell University, Penn State University, Auburn University, University of Missouri, University of Wisconsin, and the USDA Economic Research Service - joined seven of their Mississippi colleagues to present research on demographic and socioeconomic issues of concern following the Great Recession, and they discussed strategies for better disseminating their work to the public. Additionally, they developed plans for the next five years of their work together, including their recently launched research brief series that is available online entitled, Population Trends in Post-Recession Rural America. Interested readers should check the website periodically as new publications are released (http://w3001.apl.wisc.edu/). To better understand issues of concern to rural community and health development professionals, participants engaged in an interactive panel discussion held at the Coahoma County Higher Education Center in Clarksdale. The panel discussion was moderated and organized by Dr. John J. Green, Director of the Center for Population Studies at University of Mississippi. Panelists included Dr. Rolando Herts, Director of The Delta Center for Culture and Learning at Delta State; Linda Stringfellow, Director of the AmeriCorps VISTA Program in the Center for Community and Economic Development at Delta State; Aurelia Jones-Taylor, CEO of the Aaron E. Henry Community Health Center; and Desta Reff, Delta Clinical Fellow, a partnership between Mississippi State University and Harvard Law School. The group of applied population researchers is associated with the Western Association of Agricultural Experiment Directors (WAAESD). The 2016 meeting was co-hosted and co-sponsored by the University of Mississippi's Center for Population Studies, Department of Sociology and Anthropology, and McLean Institute. 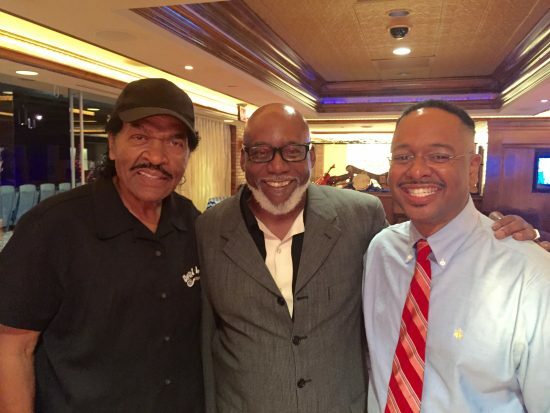 Dr. Rolando Herts (right) presented at the Jus' Blues Music Foundation's conference with CEO and founder Charles Mitchell (center) and GRAMMY-nominated blues legend Bobby Rush. Dr. Rolando Herts, director of The Delta Center for Culture and Learning at Delta State, recently presented at the “Blues Got A Soul” Technology Conference sponsored by the Jus’ Blues Music Foundation. This is the tenth year the conference has been held, and this is the second year that Herts has represented The Delta Center at the conference. The event brought industry professionals and aficionados together to discuss cultural heritage preservation and legal issues pertaining to blues music. The conference was held at Horseshoe Casino’s Bluesville event venue in Tunica, Mississippi. Herts’ presentation focused on blues heritage partnerships in the Mississippi Delta led by The Delta Center. He spoke about the International Delta Blues Project, including the upcoming International Conference on the Blues, a public screening of the film “Take Me To The River” at GRAMMY Museum® Mississippi, and Delta State’s new International Blues Scholars Program, an online blues studies certificate. The conference also featured GRAMMY-nominated blues legend Bobby Rush and Atlanta based entertainment attorney Jonathan Mason. The event was moderated by Charles Mitchell, CEO and founder of the Jus’ Blues Music Foundation. Bobby Rush speaks to conference attendees before performing. The conference was held in conjunction with the 16th annual Jus’ Blues Music Awards. The awards honored various music professionals who have contributed much of their lives to advancing and promoting blues music and culture. This year’s honorees included Sly Johnson, Ruby Andrews, Zac Harmon, Queen Ann Hines, King Edward, Chick Rodgers, Billy Branch, Big Bill Morganfield, Mud Morganfield, Eddie Cotton, Jr., and Clarksdale native L.C. Cooke, brother of soul legend, Sam Cooke. In addition, a special presentation was made to R&B legend Millie Jackson, the inaugural Millie Jackson Award. The Delta Center's "Most Southern" workshop participants at the Fannie Lou Hamer memorial garden in Ruleville. The workshop will be presented again in June and July 2017. through generous support from the National Endowment for the Humanities." In its 50th anniversary year, the National Endowment for the Humanities (NEH) recently announced $79 million in grants for 290 humanities projects and programs across the United States. The grants will be awarded in 14 humanities fields or areas, and also include $42.8 million in annual operating support for the national network of state and local humanities councils. The grants will support a wide range of efforts in the humanities, with institutions, scholars and humanities organizations in all 50 states, the District of Columbia and U.S. territories receiving NEH support. Complete state-by-state listings of grants are available through the NEH website. NEH workshop participants experiencing the Delta’s rich fertile soil. 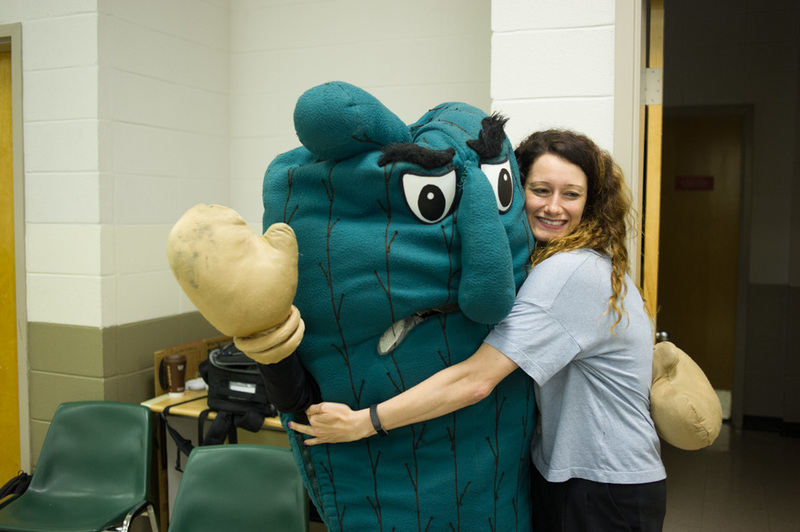 For the eighth year, The Delta Center for Culture and Learning at Delta State University has been awarded a NEH grant for “The Most Southern Place on Earth: Music, History, and Culture of the Mississippi Delta” workshop. 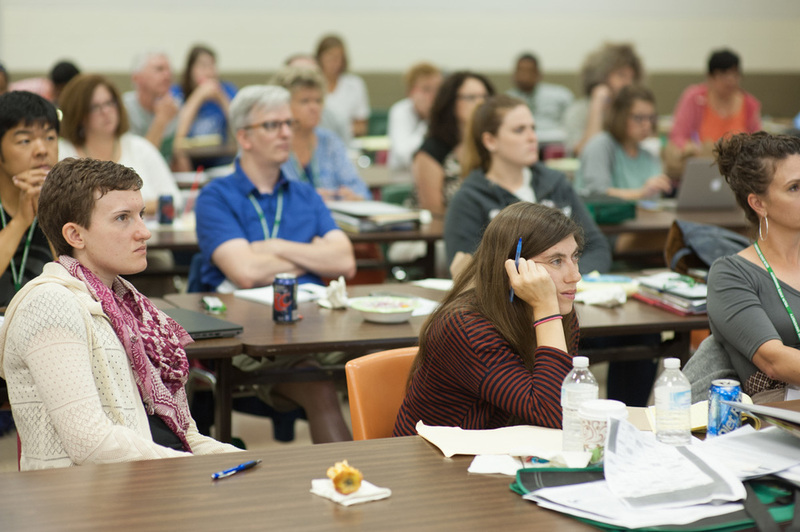 The workshop is one of several Landmarks of American History and Culture: Workshops for School Teachers that NEH funds across the country. 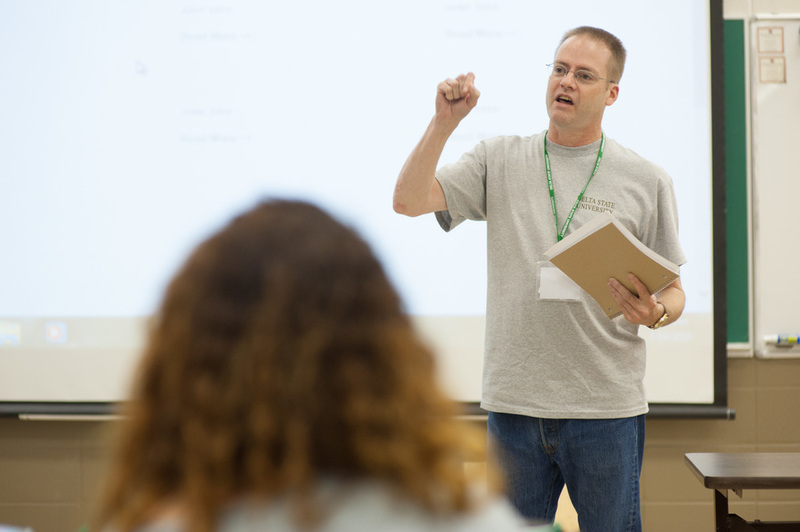 The purpose of this grant category is to support a series of one-week workshops for K-12 educators that address central themes and topics in American history, government, literature, art history and other humanities fields related to historic landmarks. 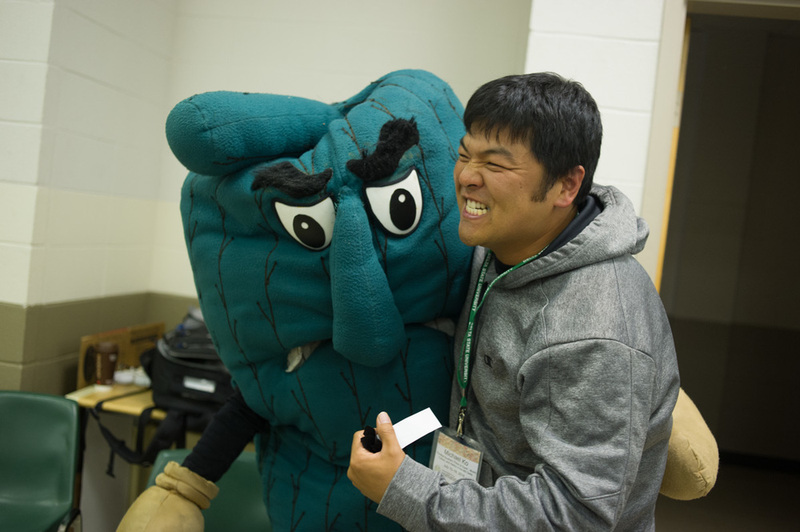 Over the years, the NEH “Most Southern” workshops have built a dedicated network of over 500 alumni scholars who serve as educational and cultural ambassadors for the MDNHA and for Delta State University. 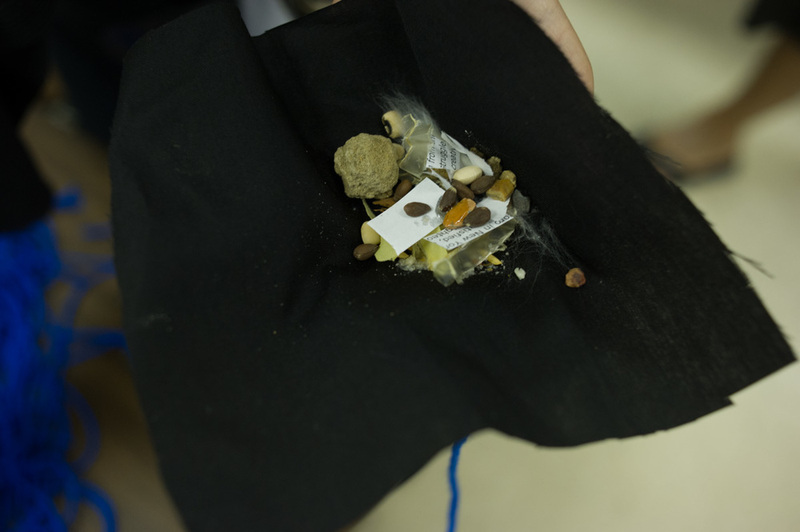 The workshops use an experiential learning approach, engaging participants directly with historically and culturally significant people and places in the MDNHA. Workshop participants take what they have learned back to their schools and communities, sharing stories and lessons from the MDNHA with students, colleagues, family and friends, nationally and globally. 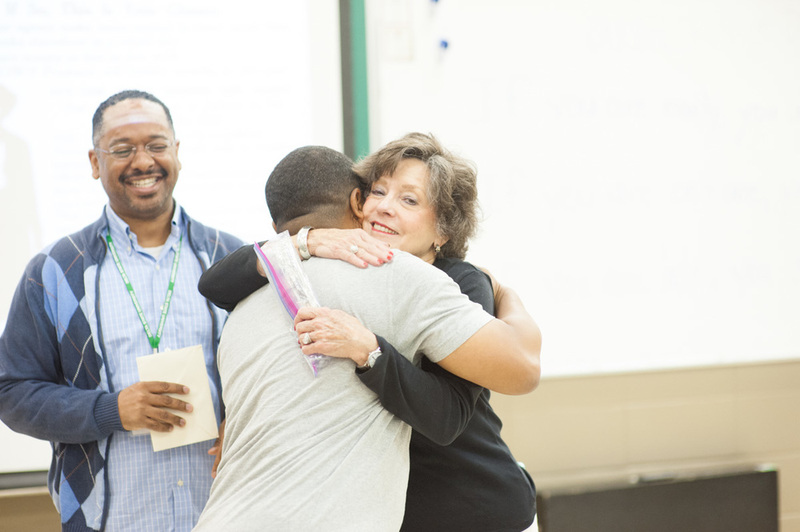 Many past participants have made return visits to the region, bringing students, colleagues, family and friends with them, which has broadened the “Most Southern” workshops’ educational and economic impact. Mayor Darryl Johnson of Mound Bayou greeting NEH workshop participants. The MDNHA is a partnership between the people of the Mississippi Delta and the National Park Service. The MDNHA was designated by U.S. Congress in 2009 and is governed by a board of directors representing agencies and organizations defined in the congressional legislation. More information about the MDNHA, including the complete approved management plan, is available at http://www.msdeltaheritage.com. We were thrilled to receive coverage from regional news outlets during our most recent "Most Southern Place on Earth" workshops, which are funded by the National Endowment for the Humanities. In June, WXVT News, a CBS affiliate in Greenville, Mississippi visited the workshop to produce a story centered around Charles McLaurin. In July, the Delta Democrat Times in Greenville, Mississippi and the Greenwood Commonwealth in Greenwood, Mississippi both printed articles about the experience. Click image to view a PDF of the article. Click HERE to visit the online version. Dr. Myrtis Tabb, Chair of the Board of Directors, and Dr. Rolando Herts, Director, (standing, center) with representatives from organizations awarded cultural heritage development grants from the Mississippi Delta National Heritage Area. 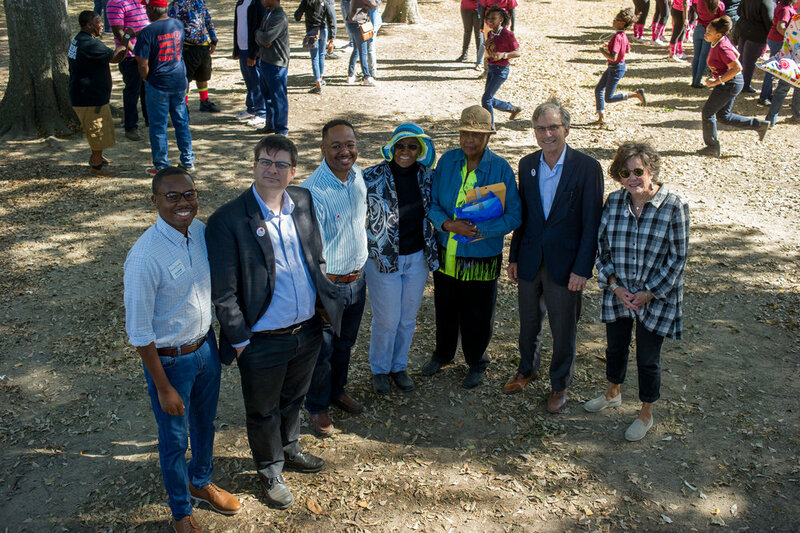 The Mississippi Delta National Heritage Area recently announced nearly $160,000 in grants for eleven cultural heritage development projects in the Mississippi Delta. 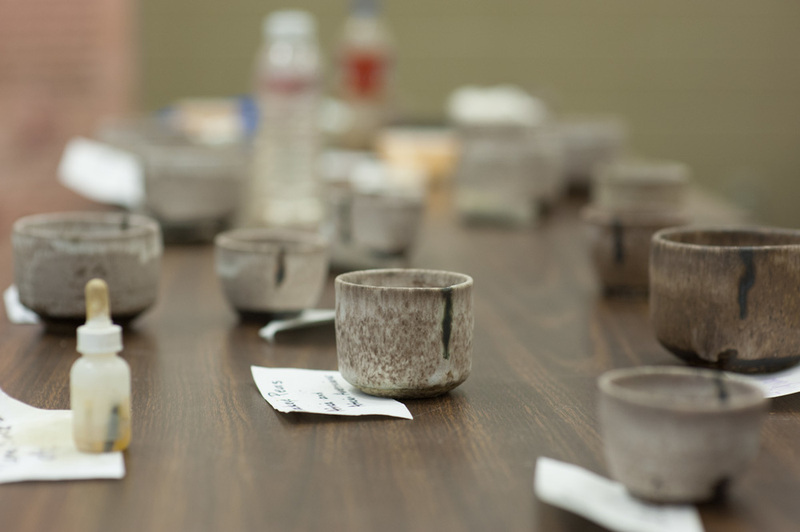 The projects represent the diversity of the region’s rich cultural heritage including Native and African American history, music, art, storytelling, the Delta Chinese, and the Mississippi River. This is the first round of grants awarded by the MDNHA. In January of this year, the MDNHA launched the new grants program and provided a series of workshops throughout the region to educate and inform the people of the Mississippi Delta on how to apply. 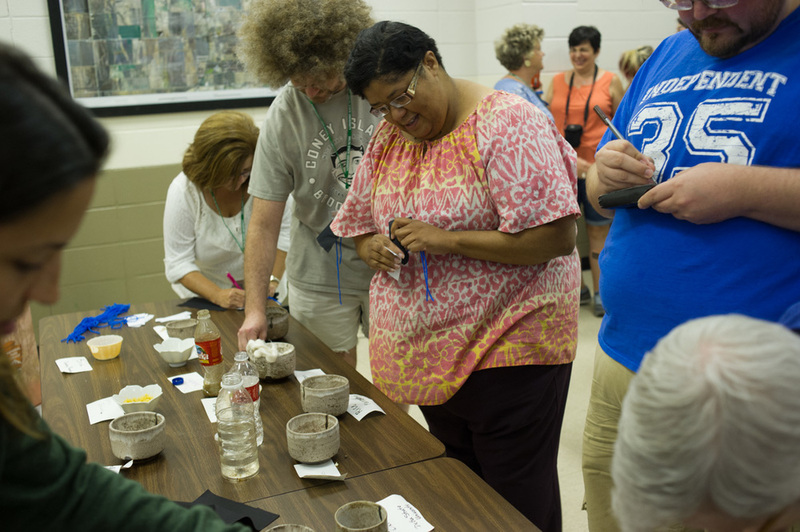 Workshops were held at Clarksdale/Coahoma County Tourism, Mississippi Valley State University in Itta Bena, Sharkey-Issaquena County Library in Rolling Fork, The Capps Center in Indianola, and Desoto County Tourism in Southaven. The MDNHA recently held a second grant competition round with proposals due on July 5. Proposals are under review currently. The MDNHA expects to announce grant awardees for the second round in fall 2016. 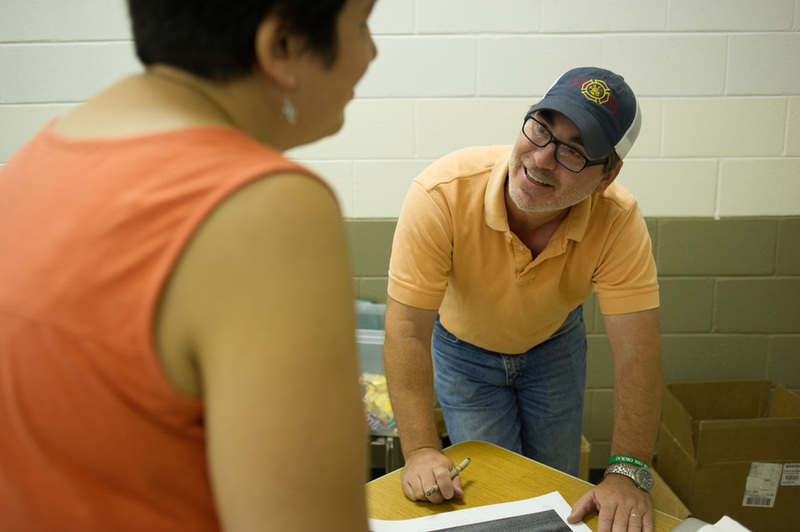 “The grant program is a critical part of the MDNHA’s Management Plan. We look forward to the program continuing in the future and look forward to receiving more proposals from organizations that are serving the Mississippi Delta region,” said Herts. The MDNHA includes 18 counties that contain land located in the alluvial floodplain of the Mississippi Delta: Bolivar, Carroll, Coahoma, DeSoto, Holmes, Humphreys, Issaquena, Leflore, Panola, Quitman, Sharkey, Sunflower, Tallahatchie, Tate, Tunica, Warren, Washington and Yazoo. The MDNHA was designated by U.S. Congress in 2009 and is governed by a board of directors representing agencies and organizations defined in the congressional legislation. More information about the MDNHA, including the complete approved management plan, is available at www.msdeltaheritage.com.